Olympic champion Chen Long delighted the home crowd as he defeated world number one Viktor Axelsen of Denmark to win the China Open for a fourth time on Sunday. The series of shock results in the women’s singles threw up several questions, including the one inadvertently raised by the talented Gao Fangjie, who defeated PV Sindhu and Carolina Marin in her giant-killing run to the title round. 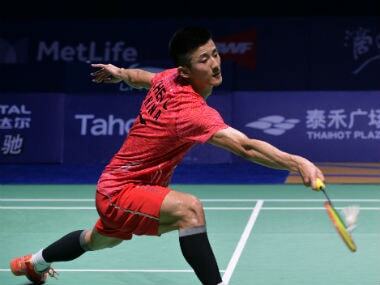 The unseeded Ng defeated seventh-seeded Lee 21-12, 15-21, 21-19 to surge into Saturday's semi-finals in Fuzhou. Sindhu seemed exhausted and struggled to anticipate her opponent's moves even as Fangjie kept varying the length of the shots and engaged in long rallies to dominate the proceedings. PV Sindhu would be enormously cheered by the knowledge that her quarter-final encounter on Friday will not be against her recent tormentor, Japan’s reigning world champion Nozomi Okuhara, who hobbled off injured. 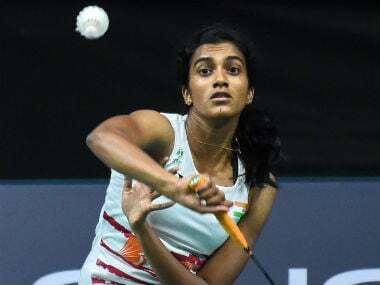 Defending champion PV Sindhu sailed into the quarter-finals but newly-crowned national champions Saina Nehwal and HS Prannoy crashed out of the China Open Super Series Premier in Fuzhou on Thursday.